Picking the right trumpet can be a long and overwhelming process. Your musical instrument is an important and expensive investment, so you have to carry out extensive research to find the best match for you. If you are a beginner you want to make sure you get an instrument that works well because it’s the best way to keep yourself motivated. If you are experienced you need a trumpet that is durable and easy to maintain even when on the road. 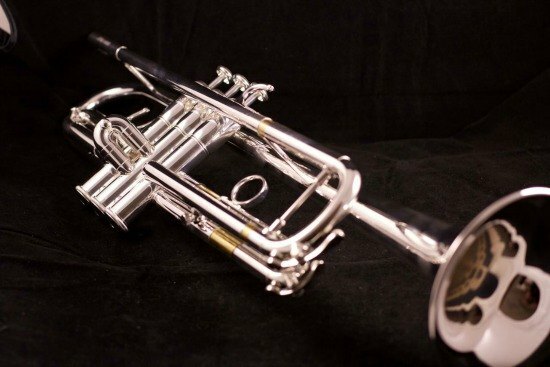 Keeping that into consideration we present to you the Jupiter Intermediate Bb Trumpet ﻿1100S. This trumpet helps give your performance the best quality, making a better musician out of you every time you play. The Jupiter Intermediate Bb Trumpet comes with a rose brass lead pipe, making sure your tunes sound richer when you are on stage or in your classroom. It features a durable horn and is designed to maintain its functionality and good sound even after years of use. This trumpet also features a reverse lead pipe, which allows experienced musician more freedom when they are transitioning notes and scales. The Jupiter Intermediate Bb 1100S Trumpet comes with a .460 bore, enhancing the sound you play. 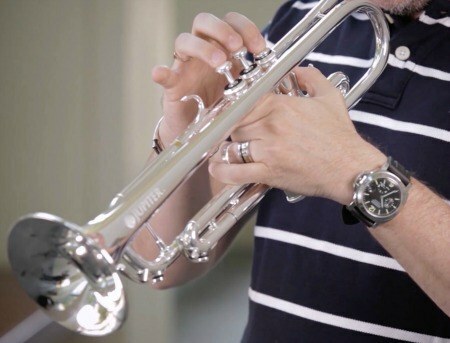 The model also comes with an adjustable ring slide on the 3rd valve, this allows you to fit the trumpet to your natural hand position while helping you avoid hand strain after long hours of rehearsal or class. People are raging about the sound this Jupiter model delivers. Aside from offering awesome sound, it seems to be extremely durable as well. A lot of people loved the attention to detail, saying that that the inner thumb saddle for the first valve is a great addition. There is no doubt that playing this trumpet gives a superior performing experience. 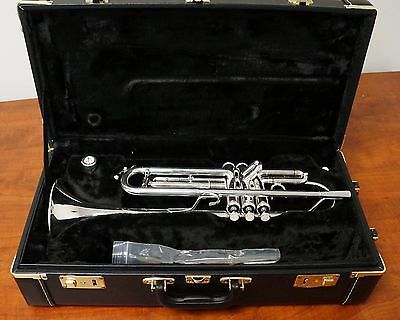 Although most users do seem to have had an awesome experience using this Jupiter trumpet, some do bring up the fact that it has a hefty price tag. Some reviews also noted the fact that this horn is heavier than others, however it is said that this also adds stability when playing. In addition to all the above, customers also found that this trumpet is designed for more experienced musicians. With this in mind, you may find that this model is a little too expensive if you’re just looking at getting started. The Jupiter Intermediate Bb Trumpet 1100S can be found in a variety of online retail stores. The best channel through which you can get purchase this trumpet is through Amazon starting at just under $1,200 with free shipping included. But the one thing that stood out was the fact that they provide accident protection. It is an awesome feature if you want to avoid a big hassle when you need maintenance or require a replacement. The Jupiter Intermediate Bb Trumpet 1100S is a superior trumpet. It is made for the seasoned trumpet player that is going back and forth from rehearsals and gigs. This trumpet stands out as a great option that sounds great and will withstand the test of time.